To be an efficient researcher and teacher by enriching my academic knowledge, professional knowledge and research skills to contribute for economic development and human resource development. IELTS Score: Listening: 6.0, Reading: 6.5, Writing: 6.0, Speaking: 6.5, Overall band score: 6.5. Valid up to: August 18, 2020. Language of instruction and assessment was English in BBA and MBA. 7. Perfect Attendance Certificate for Sincerity, Responsibility, Hard Work and Determination. 1. Islam, M.Z., Islam, M.S., 2018, Non-Performing Loan as Eroding Factor of Capital Adequacy: Evidence from Banking Industry in Bangladesh, “Romanian Economic Business Review”, 13 (2), Summer 2018, ISSN: 1842-2497. (Journal Indexing: ABDC, CNCSIS B+, EconLit, IDEAS/RePEc database, EconPapers and Index Copernicus). 2. Ferdous, R., Islam, M.S., 2018, Electronic Banking Service Quality to Drive Customer Satisfaction and Loyalty: Evidence from Bangladesh, “Journal of International Finance and Economics”, ISSN: 1555-6336, E-ISSN: 2378-864X. (Journal Indexing: ABDC, Australian Government- Australian Research Council, ANVUR, EBSCOhost, CNKI Scholar, OCLC). 3. Islam, M.S., Akter, M., Sarker M.S.I., 2018, Economic Growth in Bangladesh: Impact of Fiscal Policy and Monetary Policy, “Romanian Economic Business Review”, 13 (2) , Summer 2018, ISSN: 1842-2497. (Journal Indexing: ABDC, CNCSIS B+, EconLit, IDEAS/RePEc database, EconPapers and Index Copernicus). 4. 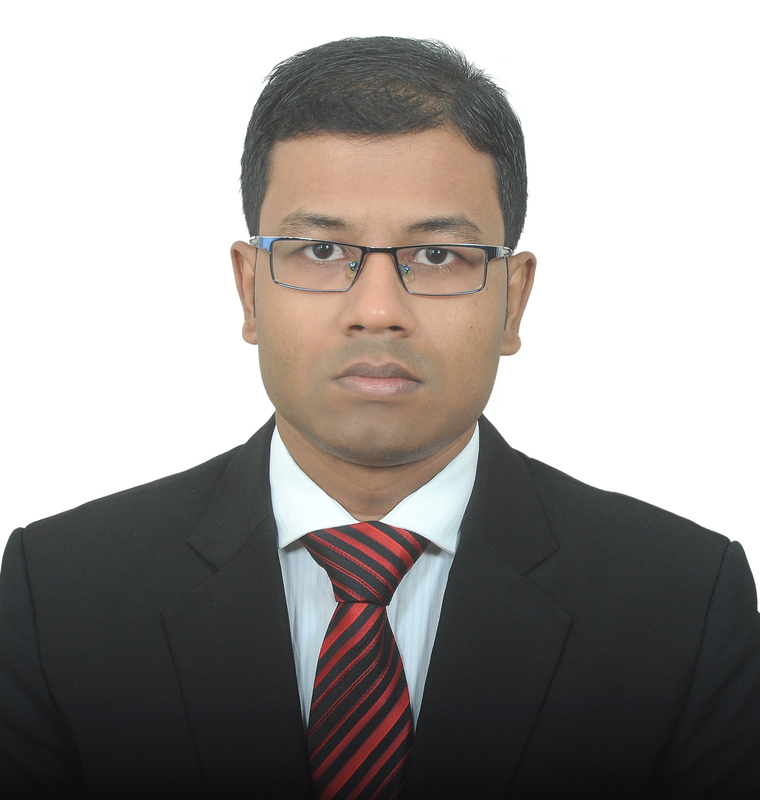 Eva, S.A., Islam, M.S., Shahriar, M.S., Akter, R., Ahmed, S., 2018, Board of Directors Structure and Bank’s Performance: Evidence from Bangladesh, “Journal of Academy of Business and Economics”, Vol-18, Issue-02, ISSN: 1542-8710, E-ISSN: 2378-8631. (Journal Indexing: ABDC, Australian Government- Australian Research Council, ANVUR, EBSCOhost, Econlit, CNKI Scholar). 5. Silvi, S.N.A., Islam, M.S., 2018, Ruling Political Parties toward Economic Growth and Stability: Evidence from Bangladesh, “Journal of International Business and Economics”, Vol-18, Issue-03, ISSN: 1544-8037, E-ISSN: 2378-9174. (Journal Indexing: Australian Government- Australian Research Council, ANVUR, EBSCOhost, Econlit, CNKI Scholar, Index Copernicus, OCLC). 6. Islam, M.S, Eva, S.A., Shahriar, M.S., Akter, R., 2018, Urban Transformation through River Restoration Model: An Empirical Analysis on the Buriganga in Bangladesh, “International Journal of Science and Technoledge”, Volume- 6, Issue- 3, ISSN: 2321-919X, 86-93. (Journal Indexing: Index Copernicus, Proquest, Impact Factor: 1.002). 7. Islam, M.S., Pattak, D.C., 2017, Impact of Macro Environmental Factors on Garments Industry that Drives Export in Bangladesh, “Studies in Business and Economics”, vol. 12, issue 2, ISSN: 1842-4120,100-111. (Journal Indexing: ABDC, SCOPUS, Cabell's Directory, Baidu Scholar, DOAJ, EconLit, CNKI Scholar, Google Scholar). 8. Islam, M.S., Pattak, D.C., 2017, The Dimensions Affecting Investment Resulting Stabilized Economic Growth in Bangladesh: Perception Analysis of Investors and Bankers, “Studies in Business and Economics”, vol. 12, issue 1, ISSN: 1842-4120, 85-94. (Journal Indexing: ABDC, SCOPUS, Cabell’s Directory, Baidu Scholar, DOAJ, EconLit, CNKI Scholar, Google Scholar). 9. Rahman, M.M., Hossain, M.Z., Islam, M.S., Sarker, M.S.I., 2017, Capturing Market Share and Creating Brand Image: The Scenario of Mobile Phone Sets Industry in Bangladesh, “Journal of Business Studies Quarterly”, Volume 8, Number 4, ISSN 2152-1034, 97-108. (Journal Indexing: ISI, Cabell's Directory, Google Scholar, Impact Factor: 1.326). 10. Islam, M.S., Eva, S.A., Hossain, M.Z., 2017, Predicate Offences of Money Laundering and Anti Money Laundering Practices in Bangladesh among South Asian Countries, “Studies in Business and Economics”, Vol. 12, Issue 3, ISSN: 1842-4120. (Journal Indexing: ABDC, SCOPUS, Cabell's Directory, Baidu Scholar, DOAJ, EconLit, CNKI Scholar, Google Scholar). 11. Islam, M.S. , Eva, S.A., 2017, Application of McGregor’s Theory X and Theory Y: Perception of Management toward the Employees in the Banking Industry of Bangladesh, “The International Journal of Business and Management”, ISSN: 2321-8916, Vol-5, Issue: 11. (Journal Indexing: Index Copernicus, Ulrich’s, Proquest, Impact Factor: 1.223). 12. Sarker M.S.I. Islam, M.S., 2016, Impediments of ADP Implementation and Impact of Sectorwise ADP Expenditures on Economic Growth in Bangladesh, “Journal of Business, Society and Science”, Vol-4, ISSN: 2072-5701, 54-67. 13. Islam, M.S., Hasan, M.R., Hossain, M.Z., 2016, Impediments of Investment and Impact of Monetary Policy to Drive Investment for Economic Growth in Bangladesh, “Advances in Economics and Business Management”, Volume- 3, Issue 5, p-ISSN: 2394-1545, e- ISSN: 2394-1553,433-440. 14. Islam, M.S., Eva, S.A., 2019, Electronic Commerce toward Digital Bangladesh: Business Expansion Model Based on Value Chain in the Network Economy, “Studies in Business and Economics”, April 2019, ISSN: 1842-4120. (Journal Indexing: ABDC, SCOPUS, Cabell’s Directory, Baidu Scholar, DOAJ, EconLit, CNKI Scholar, Google Scholar). 15. Islam, M.Z., Aktar, S., Hossain, A., Islam, M.S., 2019, Non-Performing Loan and Asset Utilization of Banks: Evidence from Bangladesh, “Romanian Economic Business Review”, 13 (4), Winter 2018, February-March, 2019, ISSN: 1842-2497. (Journal Indexing: ABDC, CNCSIS B+, EconLit, IDEAS/RePEc database, EconPapers and Index Copernicus). 16. Islam, M.S., Rahman, M., 2016, Full Fledged Electronic Money: Transition into Information Technology Based Knowledge Economy in the Process of Digitization of Bangladesh, “Conference Proceedings-2016”, Annual Banking Conference 2016, Bangladesh Institute of Bank Management. (‘Reviewers’ Choice Award’ winning research paper from BIBM). Permanent Address: Kashem Monzil, 75(8), K-Ali road, Dashani, Bagerhat, Bangladesh.